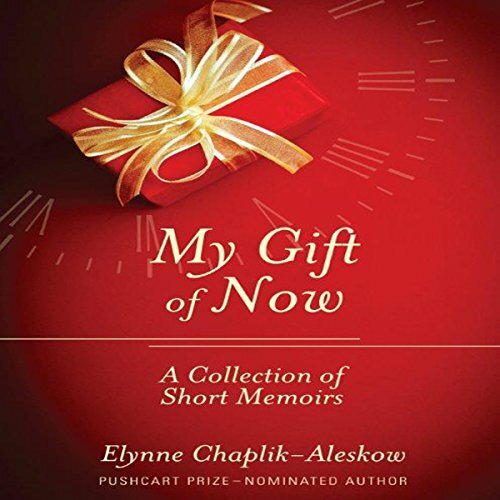 Showing results by narrator "Elynne Chaplik-Aleskow"
My Gift of Now is a collection of memoirs and essays about tragic family loss through two plane crashes; finding love and marriage in middle age; travel and laughter; and issues of living the author sees as she looks around her. The listener will move from tears to laughter to empathy as the author tells her true stories of tragedy beyond comprehension happening twice in one family; of finding the needle in the haystack on a dance floor in her middle-age years; of travel filled with laughter and unforgettable adventures. A profound work of art that captures the heart!